Ongoing supply-side reform in China has been balancing supply and demand in the domestic coal market, aiming to subdue volatility of coal price. Singapore listed coal miners to grow their production by 40% in 2018. Incentivised by coal imports from China and India as well as the domestic thermal power needs, Indonesia coal miners set higher production targets in 2017. Coal imports by China from Indonesia rose by almost 15% YTD. However, the prolonged monsoon season interrupted the mining plans, and hence some miners revised down the sales target accordingly. Miners are expected to deliver higher production and sales volume than what they did in 2016. Coal price (HBA as a proxy) was trading within a range of between US$80/tonne and US$85/tonne in 1H17. Since the bottom in Jun-17(US$75/tonne), coal prices had recorded five consecutive months of increase. It is now at the year high of US$95/tonne in Nov-17, see Figure 16. Coal miners listed in either Singapore or Indonesia ramped up their production drastically in 2017, see Figure 12. Therefore, the sector rides on the tailwind of both high volume and selling price in 2017. Look ahead into 2018 we expect China to curb capacity in coal in accordance with the guidelines of the 13th Five Year Plan. Coal production will be capped at 3.9bn tonne by 2020 (2017e: 3.5bn tonnes). 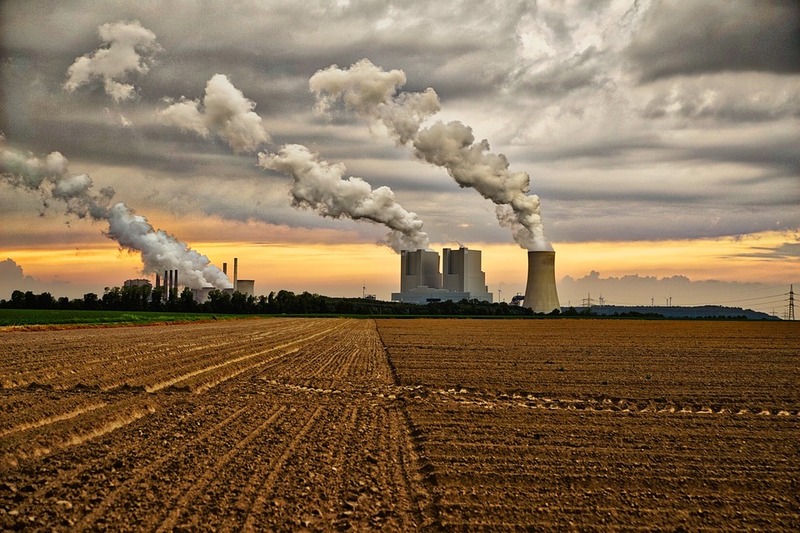 Total coal consumption is expected to decrease as well. However, demand for imported coal is expected to stay stable (from 250mn to 300mn tonnes) since it is much cheaper for the coastal cities in China to source externally. Measures such as term contracts between coal sellers and buyers and price alert mechanism, together with the maximum and minimum inventory system are expected to be implemented in 2018. Such measures will help in stabilising coal price moving forward. We expect the Singapore listed coal miners to grow their production by 40% in 2018. 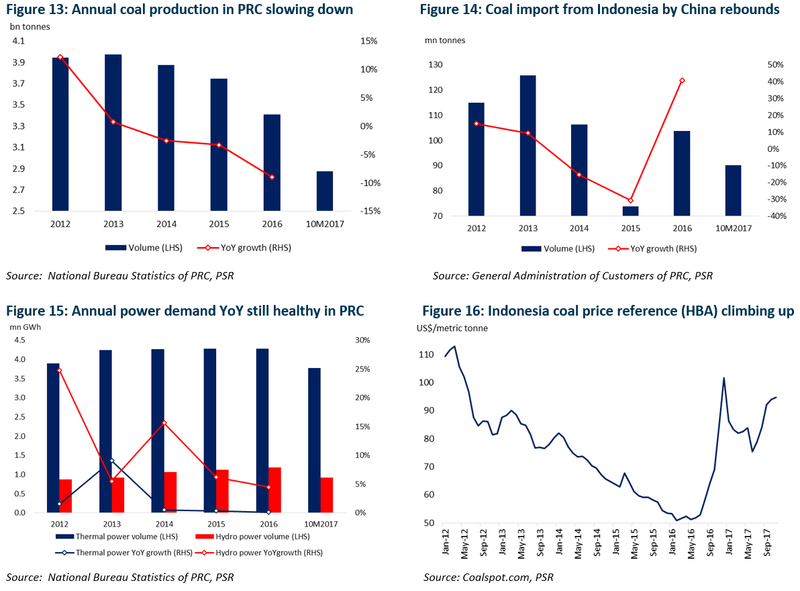 Ongoing electrification in Indonesia will drive up the demand for thermal coal domestically. Our top pick in coal mining sector is Geo Energy Resources. The sales target for 2018 will double to 12-15mn tonnes compared to 7-8mn tonnes in 2017. The ramp-up of production will be mainly from recently acquired TBR mine, which will commence operation in 1Q18. The successful refinancing of its US$100mn MTN due in Jan-18 cleared a major overhang in the share price. A new senior note of US$300mn replaced it. The net proceeds together with the advances from potential new offtakes could amount to more than US$250mn. Such a large war chest will improve Geo’s ability to acquire new assets. As of now, the PER of Geo is c.5.0x which is lower than the average regional peers of c.10x. 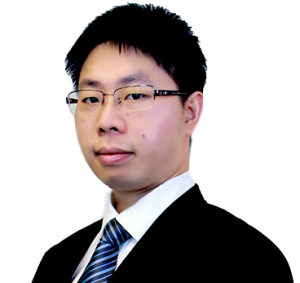 Besides, the company is trading at a dividend yield of 8% based on the price of S$0.25. Thus, we feel the stock is deeply undervalued.